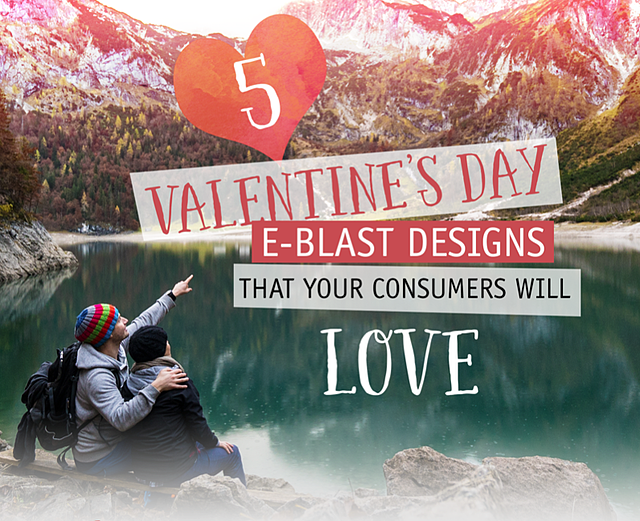 Creating your e-blast this Valentine's Day can be troublesome, especially if you lost inspiration on how to design it. It's even more of a problem if you create one that is not visually stimulating. You want to keep your subscribers interested. No one will bother reading your email if the design or content does not engage them. Remember, people form a first impression in a mere 50 milliseconds. 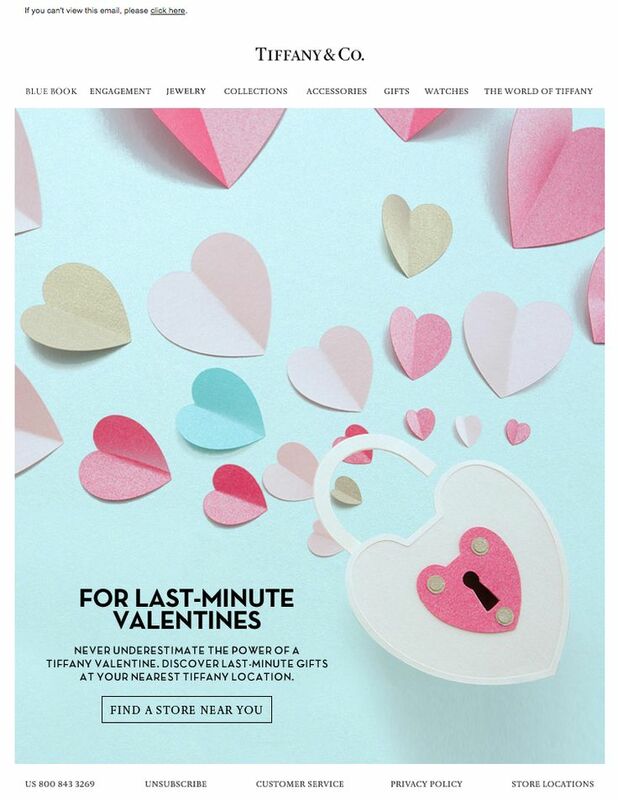 Think about how you want your email subscribers to interact with your Valentine's Day email blast. If your ideas are coming up lackluster, we can help. We understand you might need an extra push to get your creative juices flowing, therefore, we gathered several e-blast examples that will inspire your creativity. 1.) 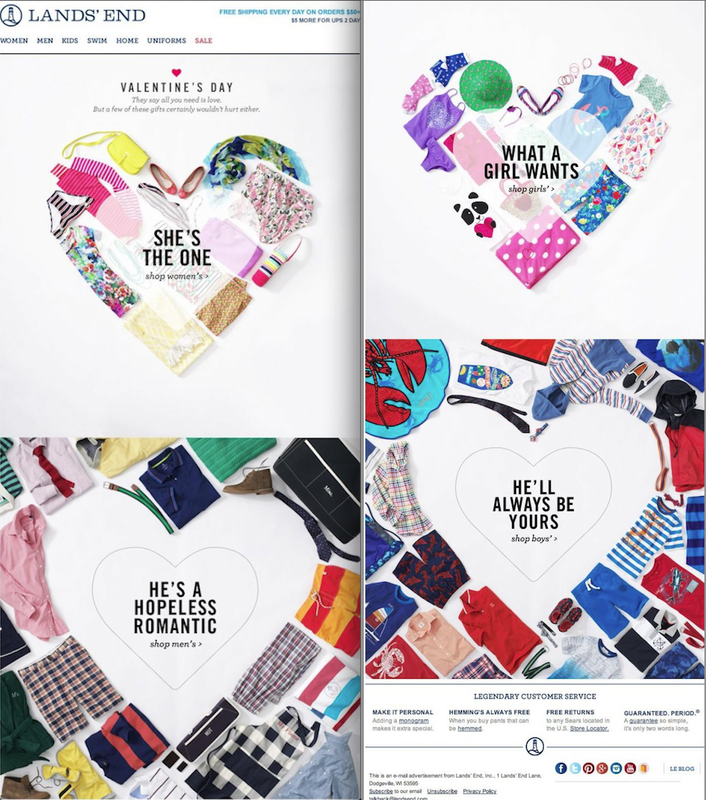 Ann Taylor - this company visually produced a heart with their products. It's clean, sleek and has a great color scheme. >>Seeking a graphic design studio? We have the perfect check list to hire the right one for your business. 2.) Lands End - playfully used their products to create the heart shape and utilized the negative space with the same playful intent. The copy is very clever and eye catching as well. 3.) This design is in a GIF format with a playful message, "Hey Good Lookin' Happy V-Day". Rollover and click the play button. Younger audiences are attracted by this type of content, which is great if that is your target. 4.) Get Response - This email template is a beautifully designed template, which makes it very easy to use either as inspiration or as something you can customize for your own needs. 5.) Tiffany & Co. - With all the flat design trends, this design stands out from the rest. I really like the fact the hearts pop right up! Its creative, simple and each heart was very customized to it's brand. 1.) Another challenge in email marketing is getting the viewer to open your email. So what does it take to get someone to act immediately when you are competing with a full inbox of competitors vying for attention? Questions make great email subject lines. The best questions will arouse a sense of curiosity in order to learn more about the subject matter. (e.g.) What can I get my boyfriend or girlfriend for Valentine's Day? 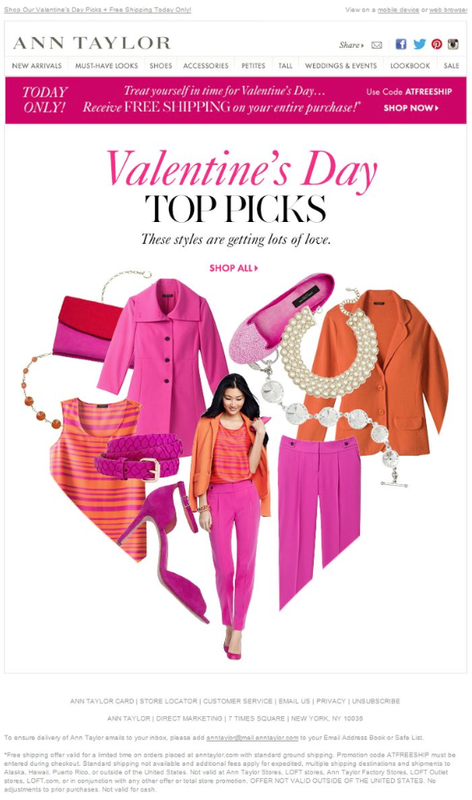 or Are you planning something special for Valentine's? or maybe something more abstract such as: Where’s the love? or Who do you love? 2.) The “How to” subject line works well, because it allows you to be clear, concise, to the point and informative. (e.g.) How to cook a great Valentine’s dinner. How to surprise your lover in the kitchen. How to make this the most memorable Valentine’s Day ever. 3.) The “Short Supply” subject line is a great motivator. No one wants to be left out. (e.g.) Short time only. While supplies last! or Only 2 days left to get 50% off on your heart-shaped photo album. 4.) Of course it all depends on what you are selling and who is your audience. Taylor your subject line to your target audience, while leading into what you want to convey with your email blast. Track what happens and you will learn to adjust as necessary. 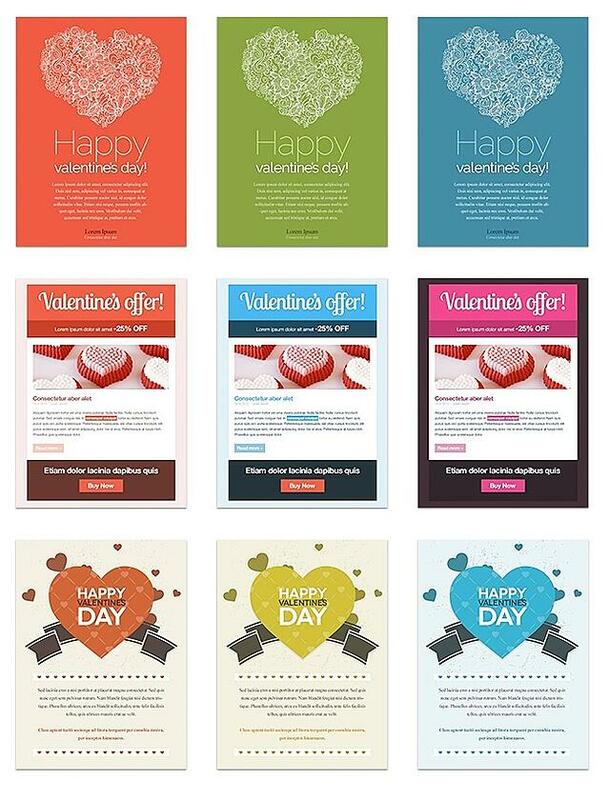 Valentine's Day provides a great opportunity to boost your sales through email campaigns. It's a convenient method used to remind your customer base of existing and new products with the goal of getting your consumers to purchase what you're promoting. And if you have the software to track your e-blasts, this is even better. Not to mention, if designed correctly your e-blasts has the potential to also drive traffic to your website. According to Email Monday, email is the most popular activity among smartphones with 78 percent of people checking their email on their mobile phone. 7 in 10 adults prefer email as their marketing communications channel. Email offers a lot of control. You decide who sees this information and when. Looking for a graphic design studio? We'll help you find the right one for your business with our check list.